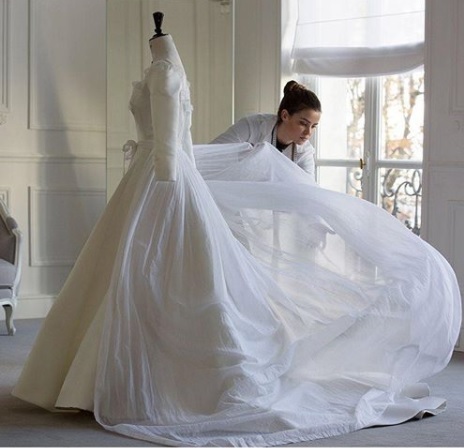 On Nov. 5, Sunday, Dior took to Instagram to share the process of making the wedding dress of Song Hye Kyo, 35. The dress worn by the wife of Song Joong Ki, 32, was designed by the French luxury goods company’s Maria Grazia Chiuri, 52. Dior described the wedding dress designed by Chiuri for Hye Kyo as “an haute couture creation” and a “sigh-inducing wedding dress.” Chiuri was announced as Dior’s creative director in July 2016 following the footsteps of Yves Saint Laurent, 71, Gianfranco Ferre, 62, and John Galliano, 56. 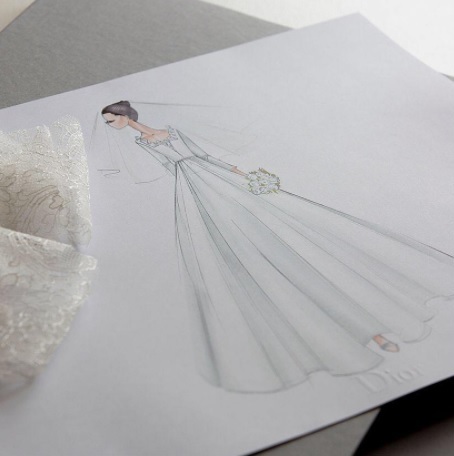 One of the three photos shared by Dior shows a sketch and final version of the Hye Kyo’s wedding dress. 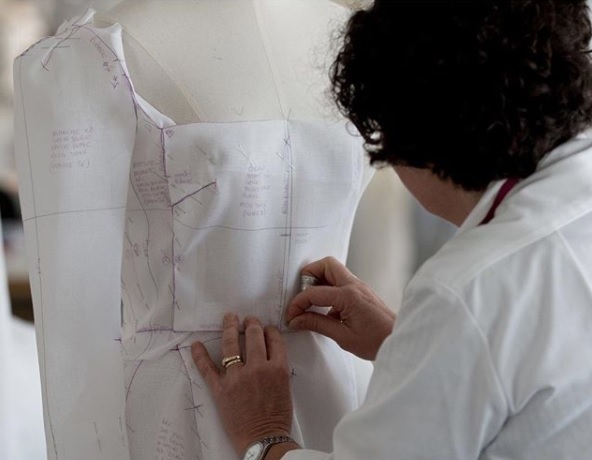 A craftswoman is sewing the pattern of the dress in another photo. Matching Joong Ki’s Dior Homme suit, the unique wedding dress was Dior’s gift to Hye Kyo. The pieces of the wedding dress were handstitched. On Oct. 31, Tuesday, Joong Ki and Hye Kyo got married at The Shilla Seoul. Among the celebrity guests were Choi Ji Woo, Haha, Han Sang Jin, Hong Kyung Min, Ji Suk Jin, Jo Sung Ha, Kim Hee Sun, Kim Ji Won, Kim Jong Kook, Kim Min Suk, Kim Soo Ann, Lee Jung Hyun, Lee Kwang Soo, Lee Mi Yeon, Lee Seung Joon, Lim Joo Hwan, Moon So Ri, Park Bo Young, Park Hyung Sik, Park Sol Mi, So Ji Sub, Son Hyun Joo, Yoo Ah In, Yoo Jae Suk and Yoo Yeon Seok. Hye Kyo’s “The Grandmaster” and “The Crossing” co-star Zhang Xiyi was one of the wedding guests who are not from South Korea. K-pop stars also attended the wedding, including Super Junior member Donghae, 2PM member Junho and SHINee member Minho. On Nov. 2, Thursday, Joong Ki and Hye Kyo went to Madrid, Spain, for their honeymoon. After Spain, they newlywed couple is expected to visit other countries. After the honeymoon, the “Descendants of the Sun” alums will go back to Seoul, South Korea. They have a newly bought house in the Itaewon neighborhood. ‘The Walking Dead’ Season 8 episode 3 recap: Ezekiel shot during battle?